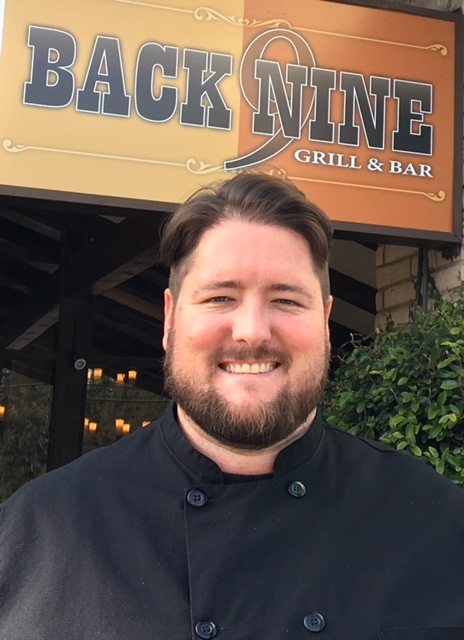 Back Nine’s Executive Chef Ben Kralj was born in Berkley but raised on his family’s certified organic farm outside of Lodi. Besides having a huge garden, the farm had an array of animals such as chickens, rabbits, ducks, geese along with the family cats and dogs. Ben’s grandparents lived in Santa Cruz, so it was no surprise when he went to Cabrillo College for his formal training, receiving a degree in Culinary Arts and Hospitality Management. During his studies Ben started working at the renowned Shadowbrook restaurant. At Shadowbrook Ben got a feel for the kitchen and fine dining, learning the extensive menu and serving up to 800 patrons a day. I eat great food; only serving food I would eat, always using the freshest and the best ingredients. Shortly after Ben made the jump to the world of catering where he quickly found himself in a leadership role. Overseeing a small staff and large events, Ben always made sure the customer was happy and that the event went off without a glitch. Cooking isn’t Ben’s only passion, he is an entrepreneur as well. After finding his love for catering Ben started his own company, Seascape Catering, in 2004. His company continues to grow serving everything from small business luncheons to large weddings both locally and in the Bay Area. Ben has been with the Back Nine since it first opened in 2015. His fine dining background along with his firsthand knowledge of catering and events makes him the ideal person to run our kitchen. When time permits you will often find Ben at the front of the house checking in with servers and guests, making sure everyone is having an exceptional experience.